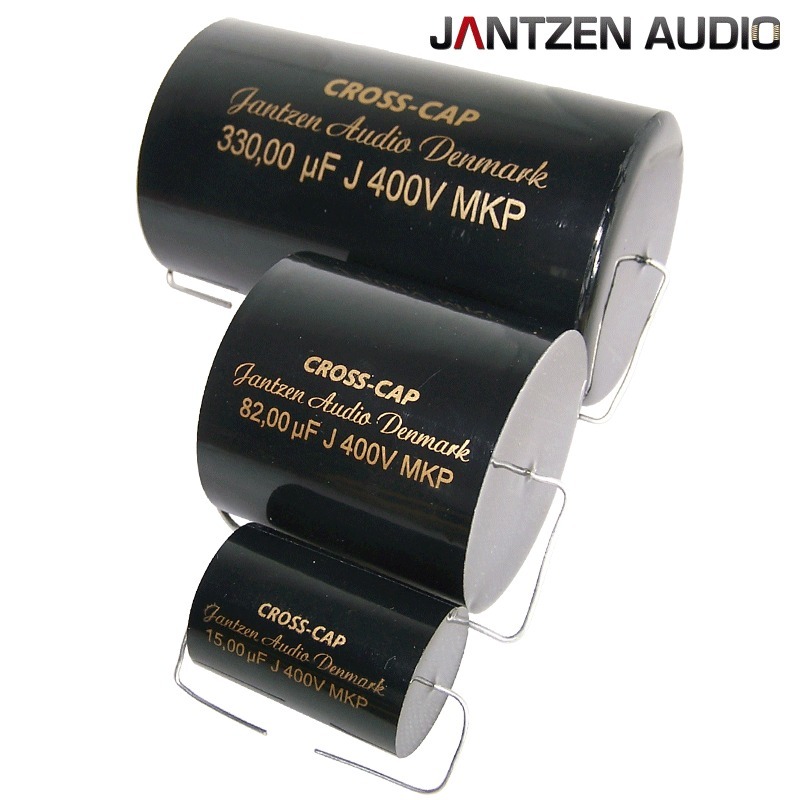 Jantzen Audio Cross Cap capacitors are built from ultra-high-quality Finnish metallized film and provide superb sonic accuracy and detail for any audio application. They are the lowest cost range of capacitors from the Jantzen stable that we stock. These MKP caps offer amazing value for money. There are 52 values available from 0.1uF to 330uF, all rated at 400Vdc. These robust axial capacitors are incredibly compact so ideal for cross-overs where space is a premium. They are also popular for use as budget signal capacitors in valve equipment. All Jantzen Z-caps and Cross-Caps are non-polarized; so do not have a specific installation direction. • Capacitors are wound from metallized (ZnAl) polypropylene foil. • Fronts are sprinkled with Zn powder, which guarantees firm contact to terminal leads and are further flooded with epoxy resin. • The body of the capacitor is firmed by self-adhesive tape. • Terminal leads are made from round tinned copper wire. • Capacitor parameters are related to standard IEC 384-16.